According to Jeff Cherubini, Ph.D., associate professor and chair of the kinesiology department, students in his Kinesiology & Public Health (KIN 375) course are knee-deep in these and other projects to illustrate its objective, which is to promote physical activity as a means to solving a range of health problems while creating a environmental consciousness. “What people don’t realize is that physical activity is a solution to a lot of issues, which might include obesity, heart disease and diabetes,” Cherubini says. By addressing contemporary societal issues and providing opportunities for service learning and research experience, KIN 375 also embodies Manhattan College’s Catholic and Lasallian mission, Cherubini explains. 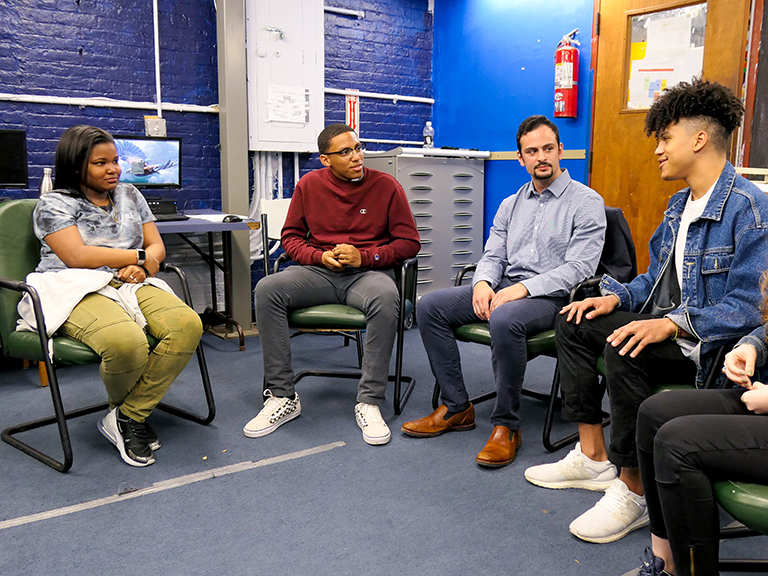 This spring, Kinesiology & Public Health students orchestrated Let’s Move Manhattan, an on-campus wellness campaign that brought the entire College community — students, faculty and staff — fun, creative and engaging approaches to everyday health. The campaign included lunch-hour walks and yoga classes, a two-day Jasper Sport Carnival featuring pickup games of Kan Jam, badminton and corn hole, an employee orientation of the Kelly Commons fitness center, as well as a Brother Jasper-inspired seventh-inning stretch leaflet describing different stretches to practice at your desk. Troy Carlsen ’16, a Kinesiology major in the class who helped supervise the Jasper Sport Carnival, says it was a reminder that working out doesn’t have to feel like an obligation. “What we learn in class is that physical activity is more than just exercise or something you have to do. It’s having fun with your friends playing Kan Jam,” he says. 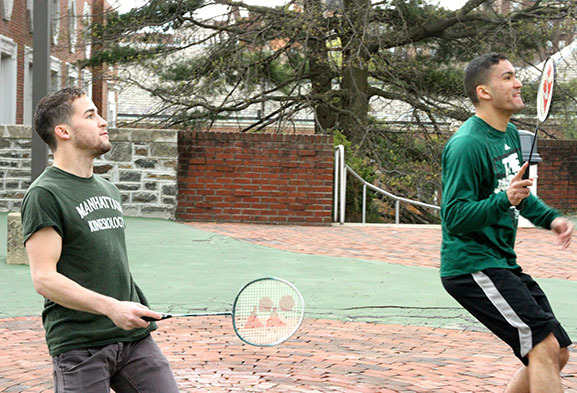 Outside campus, KIN 375 students are involved in long-term assignments that seek to achieve the class goals; one of which is to create environmental changes encouraging people to get active. To accomplish this, a group is helping design a playground that will appear alongside an upcoming rail-to-trail greenway facilitated by the organization Groundwork Hudson Valley. Participating in something like this is not only validating in the short term, Cherubini says; it’s also going to be a project they will look at fondly in the future. “I keep telling them, ‘you’ll come back in a few years and see what you’ve created. It’s going to be something you’re proud of,’” he says. Other service projects include the development of physical therapy training programs at the Methodist Home in Riverdale, the installation of a kiosk of health and fitness-focused games at the Get Fresh Yonkers Farmers Market in Van der Donck Park, and the development of academic and sports-centered after-school programs at the Boys Club of New York.